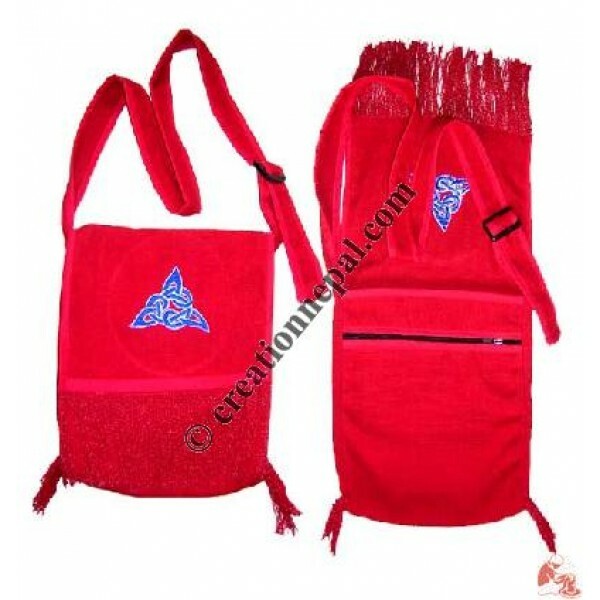 Gheri red color shoulder bag with fringle flop and attractive embroidary on it. 46 inches long adjustable strap with plastic buckle. Bag's thicknes is 1 Inche.